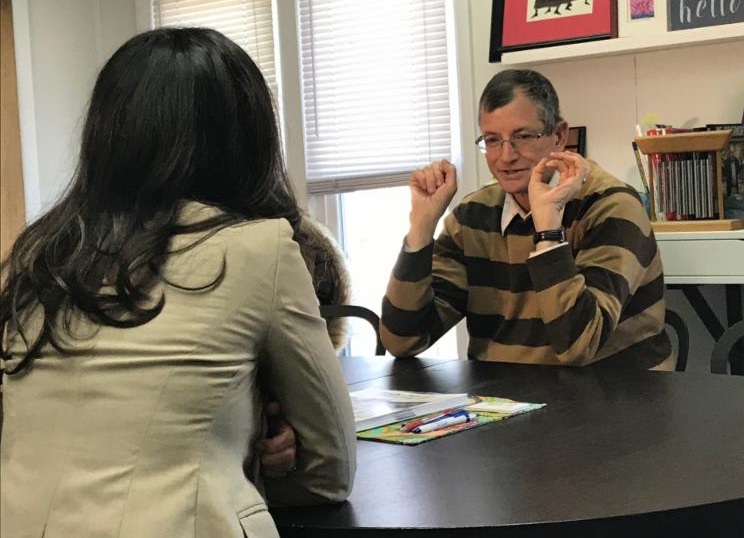 JESPY was recently featured in a thought-provoking four-part series by NJTV titled Aging and the Unknown: Adults with Developmental Disabilities . 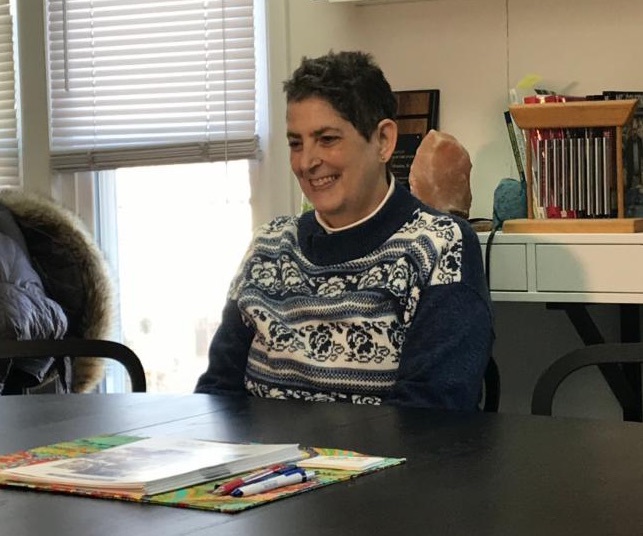 Part two of the series featured JESPY clients Dan Kanner and Ellen Warshaw, who discussed their independence and work lives. 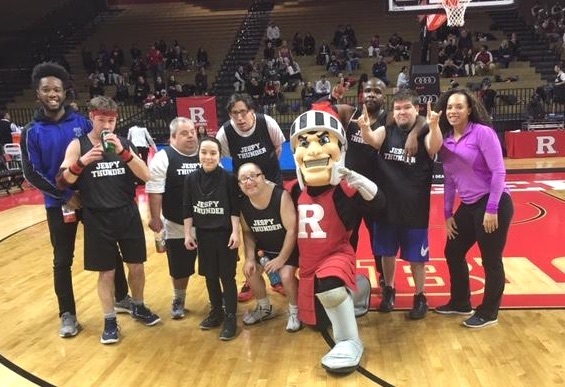 Produced by correspondent Briana Vannozzi, the series also dealt with issues related to housing, guardianship, and medical and behavioral care for aging adults. Also included were comments from JESPY clinical supervisor Sherry Scucci-Hamilton. ﻿ Click Here to view the interviews . 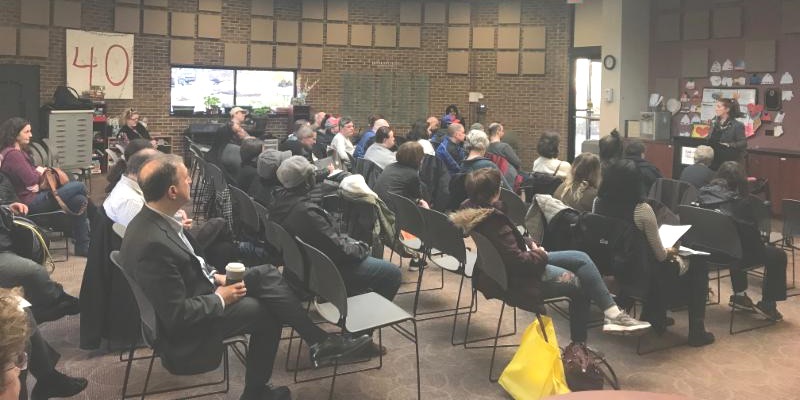 On March 11, 2019, Access Link General Manager Heather Smith-Bermudez visited JESPY to discuss issues related to its unsatisfactory service for our clients. “We realize that changes need to be made," she said. "We have made some important ones and are steps away from making several more." Phone hold times – Prior to February 2019, the average hold time was 30 minutes. As of February, staff has been increased and technology updated. Access Link’s speed of answering calls is now reportedly four minutes. Electronic fares – By April, a new fare acceptance process (similar to EZ Pass) will eliminate the need for customers to pay cash. After putting money into an online account, funds will be deducted for each ride. 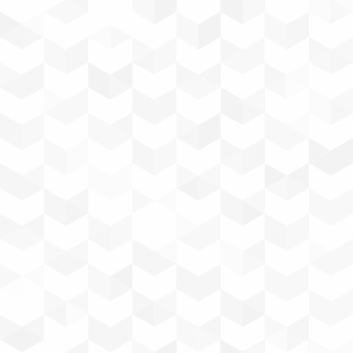 Email reservations – Staff is updating the email reservation component of Access Link. They want to streamline the process to make receiving and answering emails more user friendly. Completion date to be determined. IVR (Interactive Voice Response) – Access Link is updating this component in two phases. In Phase I, which has already been implemented, “Alice” calls customers to remind them of a trip that they have the following day. Customers can cancel the trip at that time if necessary. In Phase II, “Alice” will call to let customers know that their vehicle is within close proximity - timeframe for completion TBA. Text service - Customers will soon be able to text a five-digit number to find out the status and location of their ride. Mobile APP – A future goal is to convert all of Access Link’s services into an APP for use on a smartphone. Call-ins – Customers calling in no longer need to speak to an agent to check the status of their ride or to cancel. They can use their Alice PIN number to retrieve the information. 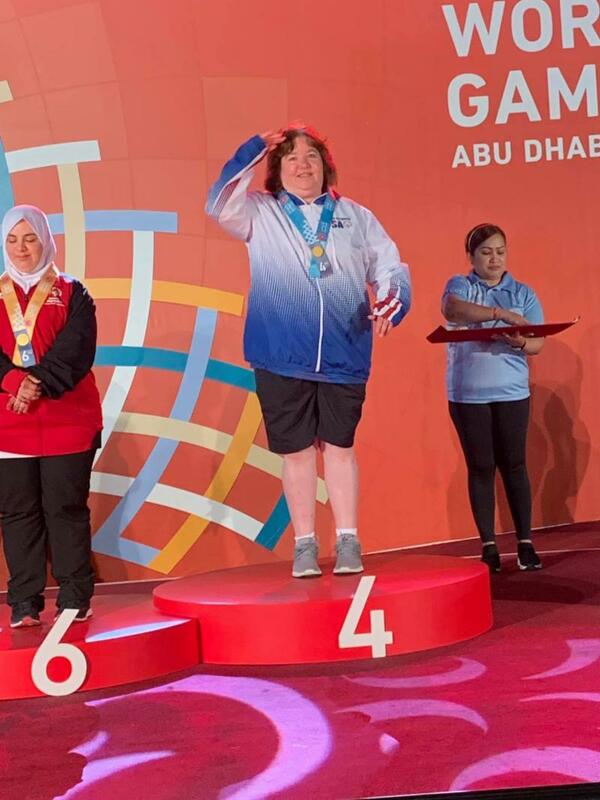 JESPY CLIENT JANE CLARK WINS SPECIAL OLYMPICS MEDALS IN ABU DHABI! We’re so proud of our Special Olympics World Games 2019 winner Jane Clark! After traveling across the globe to Abu Dhabi, United Arab Emirates . Jane competed in bowling and won several medals. She brought home a Silver medal in doubles, a bronze in team, and also won a 4th place individual prize. Congratulations Jane! Job well done! Photo courtesy of Landa Gann. 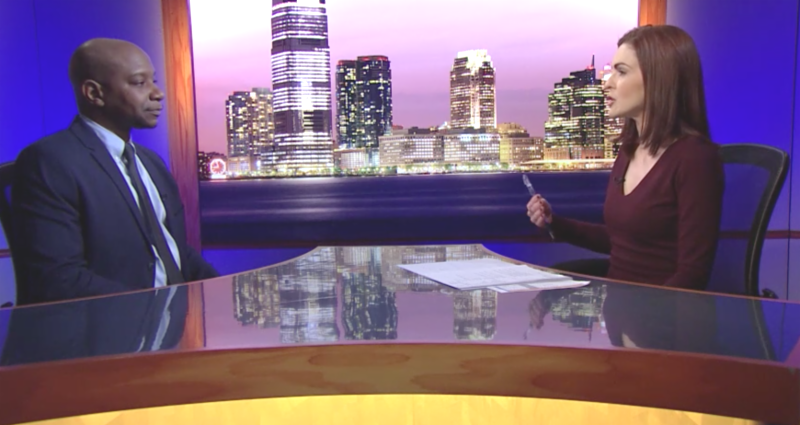 WREE Employment Engagement Supervisor Robert Slater recently appeared on Comcast Newsmakers to discuss JESPY's employment program and its impact on our clients. "Having jobs helps the clients not feel excluded from society," he shared. "It helps them have a sense of pride and inclusion in the world and in their community." Awesome job Rob! To view the interview in its entirety, Click Here . 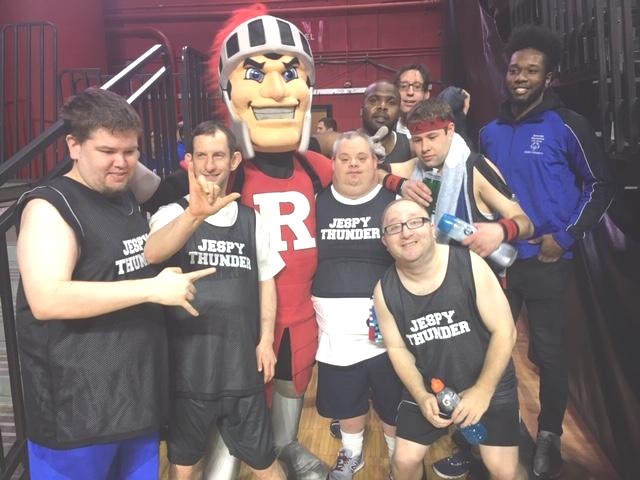 The JESPY Thunder basketball team recently played an exhibition match during halftime at a Women's Rutgers vs Wisconsin game held in New Brunswick, NJ. Go team! JESPY recently welcomed Boy Scouts from Troop 166 in Rutherford. The scouts were taken on a tour by program staffers and enjoyed meeting members of JESPY's J-Street band. The scouts also presented clients with three puzzles and a heartfelt card. 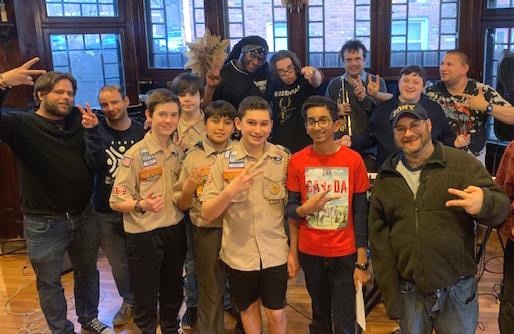 Troop 166 is in the process of earning their Disability Awareness Merit Badges and used one of the band's songs as background music during their badge presentation ceremony. We look forward to sharing with you more exciting happenings at JESPY House as we strive to enable our clients toward success in independent living within the community.